My name is Gretchen and I’m a part-time teleworker and a full-time mom. That makes me 1.5 people. Sometimes it seems like it. I’m married to my college sweetheart and have two school-aged children. We moved to a small mountain town in Arizona eight years ago for my husband’s job. 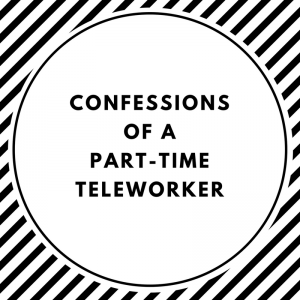 When we moved, I became a teleworker. Five years ago I began writing. My first manuscript was a speculative fiction story with a real-world setting and a supernatural twist. Since then, I completed two sequels, a manuscript for a steam punk story, as well as several short stories that have been published. Currently, I’m writing a steampunk deconstruction of “Beauty and the Beast”. 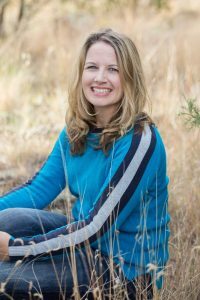 I’m active in Realm Makers, a regular contributor for New Authors Fellowship and the Scriblerians, which stems from my young adult writing group. By day, I’m a chemical engineer who works as an environmental engineering consultant for a large engineering firm. My specialty is compliance, and my job consists of preparing permits, reports, and plans to keep clients out of trouble with the EPA. Day-to-day I’m a technical writer and Excel spreadsheet ninja. By night, I’m a wife and mom. We don’t over-involve our kids. It’s sports (one per season) for our son and piano, dance, and AWANA for our daughter. This year I hung up my soccer mom tag and became a football mom, which was a fantastic experience. My life is ideal. My position is professional and is 20-40 hours per week. My company is very pro-teleworker and work-life balance. In the past eight years, I’ve been promoted and given some exciting projects. At the same time, the less than 40 hours plus no commute gives me time to be a mom, wife, serve in ministry at our church, attend performances/practices/games, and of course write. My schedule is deadline driven and consequently pretty flexible. Flexible sometimes translates to erratic by day, week, and month. The first four months of the year are “compliance season.” Federal, state, and local reports for the previous year are due during that window. November and December are sometimes slow. The first of the month is busier. Mondays and most Wednesdays my most structured days. Fridays are quiet. I’m not a flake—really! However, I don’t commit to steady volunteer roles because of my work schedule. It has to be something really special. Lots of guilt when I offer to help friends but have limited availability. Honestly, my day job often has to take priority. Remember, I work for a large company with prominent clients. They don’t understand “I can’t turn in the report because I have to run a sick friend’s errands.” Callous maybe but real. The good thing is with time management, I can usually plan out my week to accommodate making meals, etc. but am not the best person to rely on in a pinch. What does a day in my life look like? 0645-0900 (I prefer military time) – I get up in time to see my son off on the bus. Some mornings I get up earlier to make my son and husband breakfast others I sleep in until about 0700. Coffee is my first priority. Cattle prodding my daughter to get ready and eating breakfast are second. This is my Bible study time at our kitchen island, which includes homework for church leadership training. Occasionally, I write. Recently, I uninstalled Facebook and except for a quick check of work e-mail, I remain electronics free. My daughter gets on the bus at 0815. I continue Bible study or get ready and start my work day. Arizona doesn’t do daylight savings time; part of the year I have calls at 0800 but not until 0900 the remainder. 0900-1600 – The bulk of my work day. I run and exercise, so it’s not unusual for me to fit in a 3-4 mile run or yoga, etc. and a quick lunch. I try to not leave my house for errands. It disrupts the rhythm of my workday, which also includes housework like laundry and dishes. 1600-2200 – Depends on the day. I work until about 1730 or when one of the kids has an activity. My iPad with Scrivener goes whenever I’m shuttling kids. Piano and dance are great times to squeeze in a few words. Tuesdays I go to the gym after my daughter’s dance class. Wednesdays it’s piano and AWANA. Other days it’s dinner, homework, piano practice, and sports depending on the season; occasionally I work in the evenings. My son is in bed by 2100, but my daughter is a night owl (Where does she get that?) and is hard to wrangle to bed. 2200-0100 – peace and quiet. All are in bed and I do the bulk of my writing. I read for a few minutes before bed. “It’s complicated” describes my daily life. While not overly busy, I’m constantly “doing something”. Things that keep my sanity: coffee, Earl Grey or cold brew decaf for the afternoon, chamomile-lavender tea for nighttime, slow cookers, and audiobooks for housework multi-tasking. Scrivener is my favorite writing tool. I can write offline on my iPad with the iOS app while my daughter is at her activities, on the way to church, and other bits of time. I have Scrivener on my laptop for home. Tagged GEKE, Lifestyle, Writing Life. Thank you Ralene for having me. This is one of my favorite blogs. The confessions are fun and often very relatable. It’s nice to know “I’m not the only one”. I’ll have to check it out!! Love it, Gretchen! Cool to hear about your schedule. Hope to see you at Realm Makers this summer!